With algorithm updates like Panda, Penguin and Pigeon, marketers and their SEO teams have had to adapt the way they work to continue to produce effective outcomes. Continuing to employ tactics based on outdated practices, things like ineffective link building or those ridiculous press releases blasted all over the Web, is now more likely to do exponentially more harm than good. If you’re living in the SEO past (or if your clients are), it’s time to get rid of the old and replace it with the new. We live in a much-changed SEO landscape. There is no long such a thing as the #1 keyword result – results vary based on a number of factors, including geographic location of the searcher, search history, and a variety of other things. As such, keyword stuffing, dubious back-linking and “black-hat” tactics are no longer effective – yet we still run across them being sold to unsuspecting customers on a regular basis. So, how do you know what to do when it comes to search engine optimization? You don’t have to be an SEO expert to understand the basics, so start there. In the most simple of terms, search engines care about serving up the most contextually relevant results, based on the habits of the searcher, in the shortest amount of time. As a result, everything marketers and SEO pros do from a search engine optimization standpoint has to keep that in mind. Providing a great user experience (UX) for your site visitors is a key component of great SEO. Having a website that is easily viewable and navigable on mobile devices is imperative, and it must be quick-loading. Think about how patient you are when waiting on something to load—search engines know when sites take a long time to load and how quickly searchers abandon those sites in favor of sites that give them the information they want when they want it–and quickly. Content on your website that is contextually relevant to what searchers seek (and understanding what that is before you write your website content) is important. It’s also important to produce fresh content on a regular basis that feeds your website and keeps it dynamic. Lastly, social media signals, what you’re doing in the social media space, what kind of information you’re distributing, how people are engaging with and/or sharing your content all provide signals that have an impact on search results. All of these things work together, no one of them stands alone. The essence of great SEO answers just one question: Is it good for people? If the answer is ‘yes,’ – if what you’re doing is providing value for consumers, then you’re on the right track. It really is that simple. Funny how hard it is for so many to grasp that concept. Old Versus New: What’s Changed? A focus on rankings alone is out, with the new focus concentrating on how to create engagement with your target audience to increase ROI. 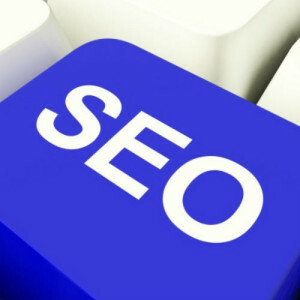 Long-tail keywords and a focus on meeting the users needs has replaced the use of single keywords. Targeted content that provides real value to the audience has replaced poor quality or irrelevant copy, created with the sole purpose of meeting the search engine’s ranking parameters. Only quality backlinks, gained from building genuine relationships will be effective. Stuffing content with spammy links will most likely see you disappear from the search rankings altogether. Bottom line, the days of writing content for search engines and/or irrelevant link-building that didn’t deliver any value other than to try and trick search engines is out. Additionally, delivering web experiences or creating content that’s all about you and not about your customers and prospects probably isn’t going to deliver the kind of results you’re looking for either. Providing value to searchers is what matters, so when you can focus on them instead of you, it will make all the difference in the world. That includes the user experience your website delivers, providing a great mobile experience, having fresh, relevant, easy to understand content, augmented by valid social signals. As Neil points out, almost nine in ten companies are integrating content marketing into their SEO to some degree. While I think that’s great, as many companies are discovering, content alone isn’t enough. So if you’ve launched a blog in the last year or so and you’re not finding it’s delivering any return on investment, take a look at the rest of what you’re doing with regard to your online presence – that might be where you need to start. And if you’re not yet using content marketing as part of your integrated marketing strategy, it’s probably time to consider starting.